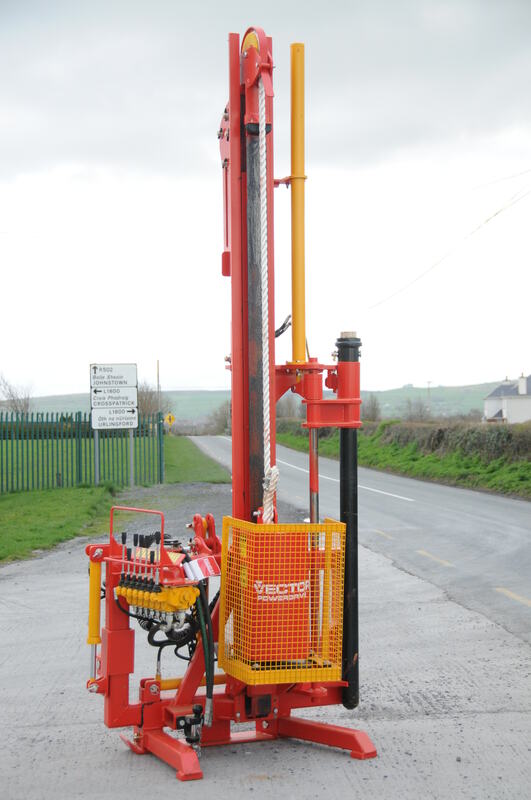 This de-luxe post driver is cleverly designed to make contract fencing easier and more efficient. Features virtually indestructible construction, hydraulic controls, side shift and tilt making it extremely flexible. It’s robustness, ease of use and maintenance plus a low cost of ownership make it an indispensable workhorse for fencing contractors. Almost indestructible – the earliest models of this machine were built almost 20 years ago and are still in daily use! The machine uses the same hydraulically controlled titling mechanism as our Model 2 Post Driver, meaning it has no limitations when it comes to side tilt. In addition hydraulic rams allow stakes to be moved in any direction with complete precision, allowing the mast to remain vertical on any gradient. 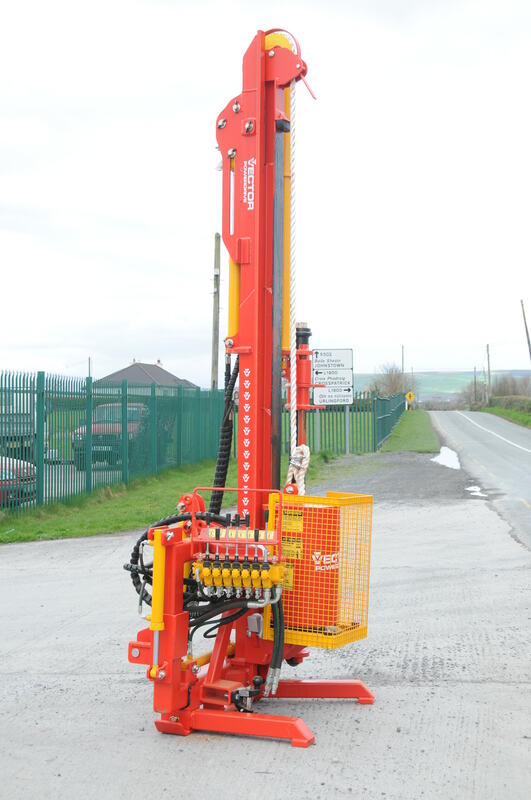 These features combined with the 380kg hammer, means that this machine can drive straining posts of up to 12′ in height and 12″ in diameter. The Model 3 post driver is an easily maintained machine which attaches to the three point linkage and fits all models of tractor. A hitch is provided on the post driver so that it can be transported by a tractor while also towing a trailer. It’s extensive range of features make this is an ideal machine and a true workhorse for fencing contractors. Enter your email address to receive occasional updates about new features and models or other news.